Press "Play" here on a recorded interview with Dr. William Croft as he discusses mold, mycotoxins and using ammonia to control it. If anyone is an authority on using ammonia on toxic mold and mycotoxins and the effects that mycotoxins have on humans, animals and nature (if not controlled), it would be Dr. Willliam Croft. Dr. Croft is a research pathologist/scientist from Madison, WI, studying human and animal diseases. He was granted a Doctor of Veterinary Medicine degree in 1970 and has a PhD in Medical Pathology which he earned in 1975. His research is broad in which over his lifetime he has studied various diseases of great importance to the health of people and/or poisonings of asbestos, benzene, phenol, arsenic, chromium and copper, pesticides, and toxic mold. He has monitored diseases of the past, present and has the knowledge and experience to also detect possible diseases of the future. For the last 31 years Dr. William Croft has studied toxic mold as a group of poisons that contains Trichothecene Mycotoxins of which there are 180 different chemical types and 192 different fungi organisms generating these highly poisonous agents. In the 1940’s this toxic fungi species caused the death of 250,000 people in southern Russia, but more importantly since then this mycotoxin was classified as a bioterrorist agent, a weapon of mass destruction. With Dr. Croft having access to research laboratories and unique testing equipment he was able to test the process used by many scientists today in the agricultural field of treating contaminated mold/mycotoxin food "stores" with ammonia as a way to not only kill the toxic mold spores that ruin our food supply but also "denature or neutralize" the deadly mycotoxins that these spores produce. In his experiments he was able to confirm that ammonia not only killed the spores but also destroyed the molecular structure of the mycotoxin "chemical" that is so dangerous to humans, animals and most forms of life. You can listen to an interview below that Dr. Croft did with http://www.BeforeItsNews.com and here what he has to say about a little history of toxic mold as well as how he came to his conclusion that Ammonia IS the best solution for controlling mold and mycotoxins. Ammonia has been used in the food industry for centuries to kill small concentrations of mold spores and to "Chemically inactivate" mycotoxins. Mycotoxins and mold spores can be cleaned on ONLY "non-porous" items (like on my "saving your possessions" chart on the website) but only using "ammonia". Ammonia is actually the only known (natural) substance "to us", to actually change the molecular structure of both the spore and the mycotoxin metabolite. The agriculture and farm industry have known this for centuries. This is why they treat a lot of your food and grains with an ammonia wash before bringing it to the general public. Ammonia is what protects humans and animals from dying of mycotoxin poisoning in our food.This study also shows that not only does it work but it is also safe for animals and humans to eat and there is no toxic effect from consuming food treated by ammonia. In fact ammonia is produced by animals, plants and in the human body. Overwhelming support for the efficacy and safety of ammoniation as a practical solution to aflatoxin detoxification in animal feeds. Household Ammonia is diluted to 3% - 5% concentration. Toxicity levels for the human body are recorded at 15% concentration. This type of toxicity only occurs when humans are exposed to industrial strengths of the product. High strengths are only available in industrial applications. General household ammonia at 3% ratio is considered safe to use in it's non diluted state. This means if you are diluting it even farther it is even more safe. 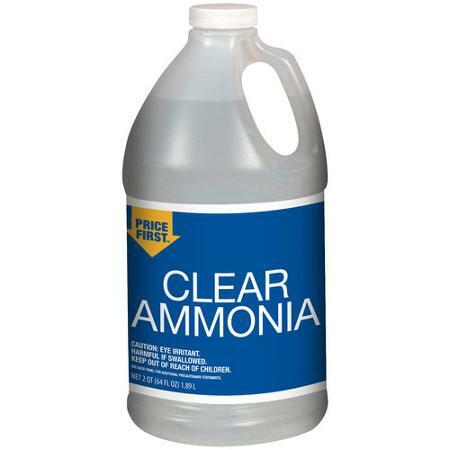 When you use ammonia to clean "non porous" items you can dilute it 50/50 with 'NON CHLORINATED" water (distilled is best). This means that you are now working with a 1.5% concentration. When you wash your clothing in it you are using only 2 cups for every load of laundry which is about 15 gallons. When you take ammonia baths (used specifically for aflatoxins and trichothecene exposure) you would use 2-4 cups of ammonia for a full bath. I am not a mathematician but obviously the ratio is a very small percentage when used in baths and laundry. Always use ammonia, or any other cleaning solutions, in well-ventilated areas. Protect your skin with rubber gloves, and use protective eyewear if you anticipate long exposure or higher concentrations to fumes from ammonia solutions. How do we know Ammonia is safe? I mean, shouldn't we see proof of this somehere? I don't want to take anyone's word for it right? 2 reasons for washing in ammonia: (Ammonia is one of the only agents in the world that actually kills the mold spore as well as (neutralizes/denatures) the mycotoxin metabolites that spores create. To try and save clothes and prevent cross contamination in a new place. Ongoing for at least a year after moving because our pores excrete mycotoxins everyday onto our clothing, blankets, sheets and pillow cases. General use and instructions: Wash each load in 2 cups "white" ammonia for every load with no detergent. TIP: Because Ammonia is not a degreaser, some oils from the body may accumulate on the clothing. For this reason it might be good to rewash clothing on occasion using regular detergent (WITHOUT THE AMMONIA) or a natural detergent so the oils don't accumulate. FACTS: Temperature DOES NOT effect mold spores or mycotoxin. 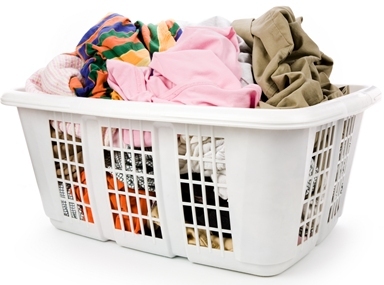 Items can be washed or soaked in any temperature. This is why if you are saving possessions it is a wise idea to also wash your items a second or third time (after ammonia) with "Epsom Salts". Epsom salts kill a wide range of bacteria and fungi. The new space to be neutralized must be completely empty. No furniture or possessions can be in the home or office. 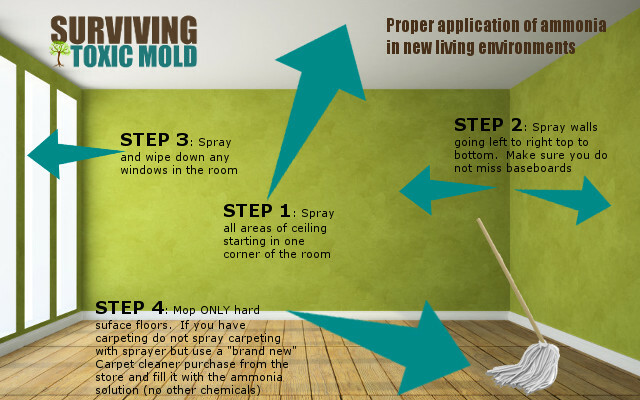 This is NOT a process to be used in the same home that you had a toxic mold infestation in. This is very important to know. Ammonia is not something to be used to try and clean mold. There is a huge misconception with people who think they can just spray major mold infestations and all their problems are gone. This process is only for someone who has left their old environment and moved into a new empty place without bringing contaminated items from the other place. You'll need to purchase plenty of "clear household ammonia" 5-10 gallons is an estimate but if you have a bigger home you may want to purchase more. You'll also need to purchase plenty of "Distilled bottled water" 5-10 gallons same as above for ammonia. The 1st and best solution is to not have carpeting. 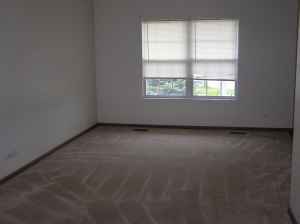 Let me start off by saying that if you own your own home you should definitely "remove" the carpeting and replace it with either solid wood flooring, tile, concrete or bamboo because having carpeting in a home is like a torture chamber for anyone who has ever been exposed to toxic molds and gotten sick. Check out our mold-free construction page for flooring options that are safe and do not promote mold growth. * I'm definitely not advocating carpet washing but I am all for removing the carpet completely. You cannot Clean flooded carpeting. It must be gutted and thrown out quickly (within 24 hours). Here is my 2nd-best solution for making sure that the carpeting in your new "escape home" is less of an issue. and must leave the carpeting in place the best solution is to use this technique. 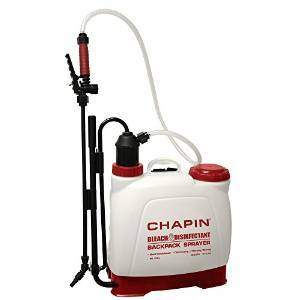 The cleaning solution recipe for the carpet cleaner: 50% clear/white household ammonia and 50% (DISTILLED WATER) only. Do not mix chlorinated water with ammonia as it can put off dangerous fumes that are hazardous to your health. Other website references to usage of ammonia to kill toxic mold as well as neutralize mycotoxins. Q: What is ammonium hydroxide? A: Ammonium hydroxide is ammonia combined with water. Ammonia (NH3) is a compound consisting of nitrogen and hydrogen. Both ammonia and ammonium hydroxide are very common compounds, found naturally in the environment (in air, water, and soil) and in all plants and animals, including humans. Ammonia is a source of nitrogen, an essential element for plants and animals. Ammonia is also produced by the human body – by our organs and tissues and by beneficial bacteria living in our intestines. Ammonia plays an important role in protein synthesis in the human body. In brief summary, all living things need proteins, which are comprised of some 20 different amino acids. While plants and microorganisms can synthesize most amino acids from the nitrogen in the atmosphere, animals cannot. For humans, some amino acids cannot be synthesized at all and must be consumed as intact amino acids. Other amino acids, however, can be synthesized by microorganisms in the gastrointestinal tract with the help of ammonia ions. Thus, ammonia is a key player in the nitrogen cycle and in protein synthesis. Ammonia also helps maintain the body’s pH balance. Q: How is it used in food processing? A: Ammonium hydroxide and other ammonia-containing compounds are used extensively in food processing. Food and Drug Administration (FDA) regulations affirm ammonium hydroxide as safe (“generally recognized as safe” or GRAS) for use as a leavening agent, a pH control agent, and a surface-finishing agent in food with no limitation other than current good manufacturing practice. 21 C.F.R. § 184.1139. See also National Academy of Sciences, Food Chemicals Codex, 5th Ed. (2004), p. 24. Q: Has FDA determined that use of ammonium hydroxide in food processing is safe? “Ammonia and the ammonium ion are integral components of normal metabolic processes and play an essential role in the physiology of man…. 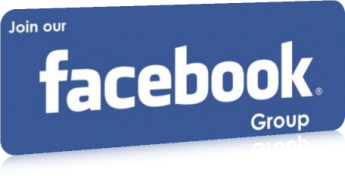 the Select Committee concludes that: There is no evidence in the available information on…. ammonium hydroxide….. that demonstrates, or suggests reasonable grounds to suspect, a hazard to the public when \[it is\] used at levels that are now current or that might reasonably be expected in the future.” Select Committee on GRAS Substances (SCOGS) Review, Report No. 34, 1974. GRAS status means that a substance is generally recognized, among experts qualified by scientific training and experience to evaluate their safety, as safe for its intended use. See generally 21 C.F.R. § 170.30. Ammonium hydroxide is also recognized as safe by other countries’ and international food safety agencies. The Joint Expert Committee on Food Additives (JECFA) of the U.N.’s Food and Agriculture Organization (FAO) and World Health Organization (WHO) also recognizes ammonium hydroxide as safe for use in a wide variety of foods. Ammonium hydroxide is approved for use in food in most countries including the European Union. Q: In what foods is ammonium hydroxide used in processing? A: The list of foods in which ammonium hydroxide is used as a direct food additive is extensive and includes baked goods, cheeses, chocolates, other confectionery (e.g., caramel), and puddings. Ammonium hydroxide is also used as an antimicrobial agent in meat products. Ammonia in other forms (e.g., ammonium sulfate, ammonium alginate) is used in condiments, relishes, soy protein concentrates/isolates, snack foods, jams and jellies, and non-alcoholic beverages. Q: If ammonia is safe, why do I think of it as a harmful chemical? A: Probably because ammonia is also used as a sanitizer in many household and industrial cleaners. Although necessary for life, too much ammonia is harmful. Ammonia vapor at levels higher than those found in common household cleaners is an irritant to the eyes, mucous membranes, and lungs. Consuming ammonia orally can cause burns to the mouth, throat, and stomach. Theoretically, it is possible to estimate a lethal oral dose of ammonia based on animal studies, but the amount would be so high that ingestion would be inconceivable. Ammonia has a strong odor and taste, so amounts that would be harmful are unpalatable and highly unlikely to be ingested. Q: Is ammonium hydroxide in food processing a safe substance? A: Yes, provided it is used in accordance with good manufacturing practices (e.g., only food grade ammonium hydroxide is used). It has been used safely for decades. As noted above, FDA affirmed ammonium hydroxide as GRAS after extensive study back in 1974, and it had been used in food processing long before that date. Q: How does it work to kill pathogens in meat? A: Many food pathogens, including dangerous forms of E. coli can be found in the intestines of cattle. They are able to survive and grow in the high acid tissues of animals. Ammonium hydroxide and other compounds can damage these organisms and lower the acidity of meats and other foods, making it difficult for these pathogens to survive. Q: What about use of ammonium hydroxide in meat products? A: Ammonium hydroxide can be used as an antimicrobial to control pathogens, such as E. coli O157:H7, which may be present in beef. In the treatment, naturally occurring levels of ammonium hydroxide in beef are increased slightly to create a pH that eliminates harmful bacteria. The U.S. Department of Agriculture (USDA), after consultation with FDA, has determined that this use of ammonium hydroxide is safe. \[FSIS Directive 7,120.1 Attachment (Substances accepted by FSIS as safe and suitable for use in the production of meat and poultry products)\]. Even when consuming meat products that have been treated with an effective pathogen control measure, consumers should always follow proper safe handling practices and should and cook all meats to recommended internal temperatures. This information is available on the USDA website. Sign-up for our Monthly Newsletter to get the latest updates on nutrition, food safety and more.